The goal of this assignment was to emulate the works and methods of designer Naoto Fukasawa. As Fukasawa works in so many different areas, we had a wide variety of products to choose from. 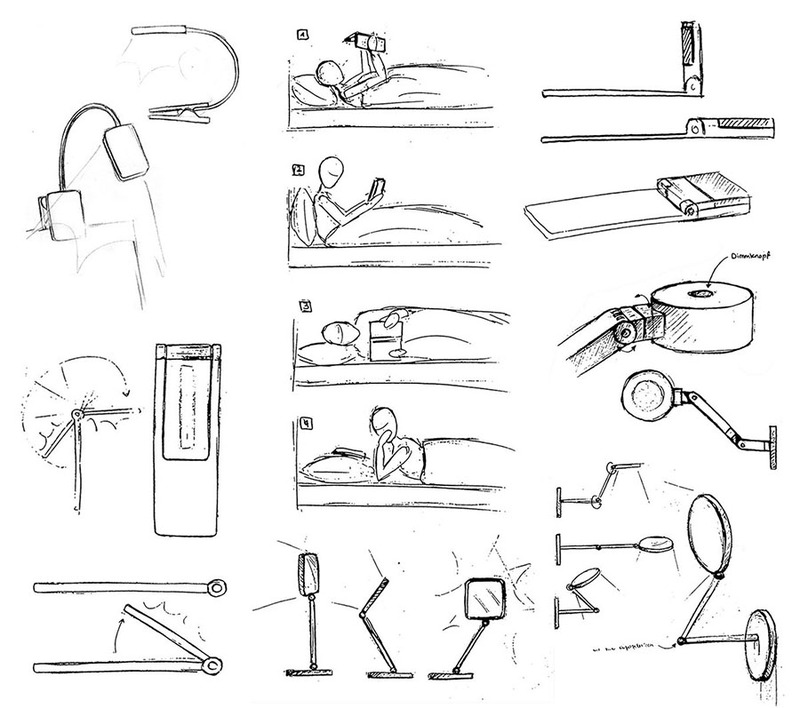 We decided to work with light – to be precise: bed and reading-lights. 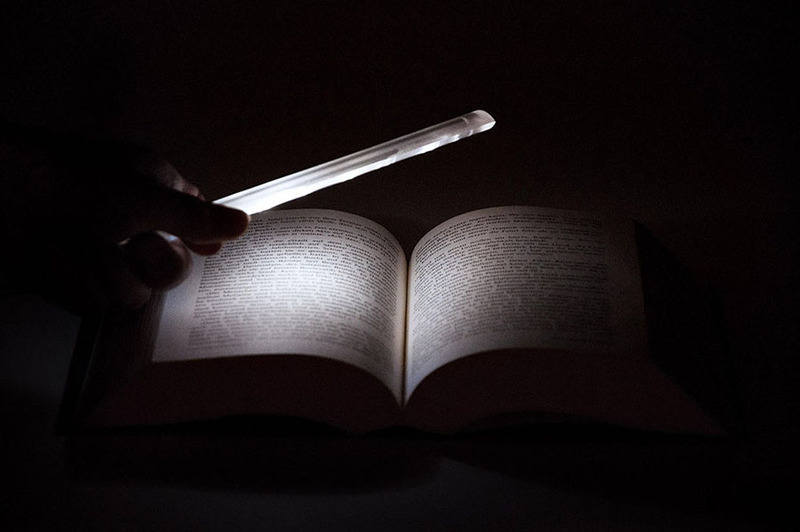 After research and reflection we wanted to design a light that fits directly into a book, shining exclusively on the required place with minimal disruption to people in the same space as the reading person, while creating a harmonious ambience. 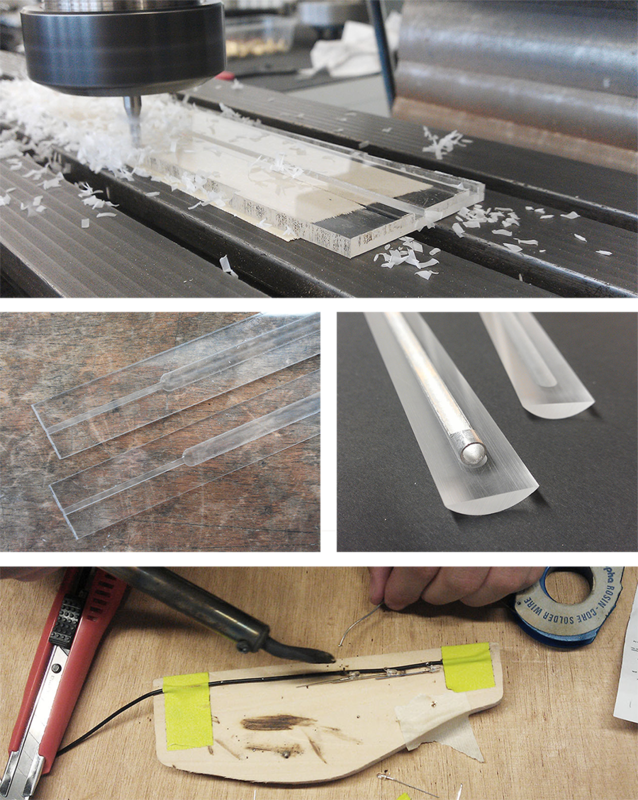 We milled grooves into two plates of plexiglass, into which six small LED diodes were placed in an open metal pipe. 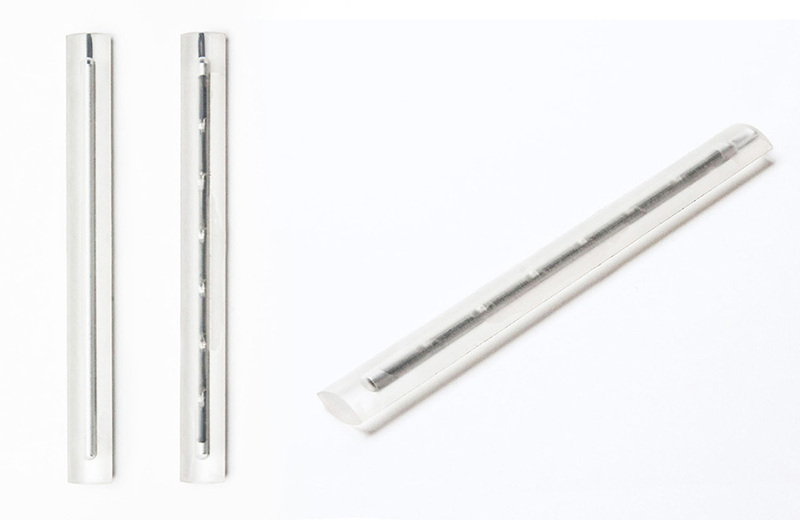 To achieve the elliptic shape, we sanded the material, which resulted in semi-transparency as an additional effect. The result is a simple stick pared down to basic functionality, with a comfortable ellipse form that lies well in the hand and adapts itself to the pages of a book – just right!